The Spanish composer Tomás Luis de Victoria started his musical career in Ávila Cathedral as a choirboy, before being granted a scholarship to study in Rome at the new Colegio Germanico, promoted by Philip II. While there he sang under the direction of the Maestro de Capilla, Giovanni Perluigi da Palestrina, the greatest composer of Italy at the time. 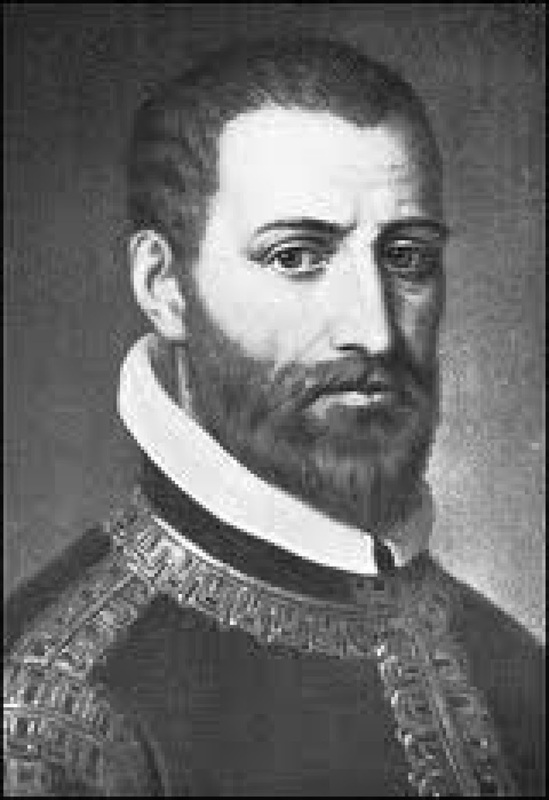 During the week we shall be examining music by both composers, how the “Palestrina style” influenced Victoria, and how the Spaniard would forge his own path towards the sensibilities of the Baroque. We have the pleasure to have The Marian Consort as our faculty in 2018 to encourage students to develop tools and skills in singing in smaller groups and ensembles. Pre-formed ensembles who wish to work together are very welcome. The first session will be Monday 22nd July at 4.30 pm. The course ends on Sunday 28th July at 21:30. The course will be held mainly in English, with translators on hand for those who require. There will be a final concert on Sunday 28th July. In addition to the concert the course will have approximately 40 teaching hours. Students with at least 80% attendance will receive a diploma on completion of the course. The course will be held primarily in English. There will be translation into Spanish of the main points in rehearsals. The course fee is €280. This fee includes the tuition cost and the scores in digital format. It does not include board and lodging. See below for more information in this respect. The course will take place in Avila, at the Colegio Mayor Magistral Honcala, http://magistralhoncala.com very close to the historic city centre. A former Seminary, now it is used as a university hall of residence, boasting all the facilities – teaching rooms, dining room, wifi throughout, recently refurbished sleeping areas, parking, etc. The participants do not have to reserve the lodging in the residence directly, in the case of staying there. The organisation of the course already has a block booking of rooms to allocate to the students who would like them.The lodging is paid directly to the residence and the price for full board is 46 euros/ day per person in a single room, and 41 euros/ day per person in a double room. Taking its name from the Blessed Virgin Mary, a focus of religious devotion in the sacred music of all ages, The Marian Consort is a Gramophone Award-nominated and internationally renowned early music vocal ensemble, recognised for its dynamic freshness of approach and innovative presentation of a broad range of repertoire. Under its founder and director, Rory McCleery, this ‘astounding’ ensemble has given concerts throughout the UK, Europe and North America, features regularly on BBC Radio 3, and is a former ‘Young Artist’ of The Brighton Early Music Festival. En cumplimiento de la normativa vigente en materia de protección de datos personales (Ley 15/1999 de 13 de diciembre de Protección de Datos de Carácter Personal), le informamos que sus datos personales forman parte de ficheros bajo responsabilidad y tratados por Zenobia Música S.L. Igualmente le informamos que sus datos personales pueden ser utilizados con la finalidad de mantenerle informado de los eventos organizados por la entidad que pudieran ser de su interés.